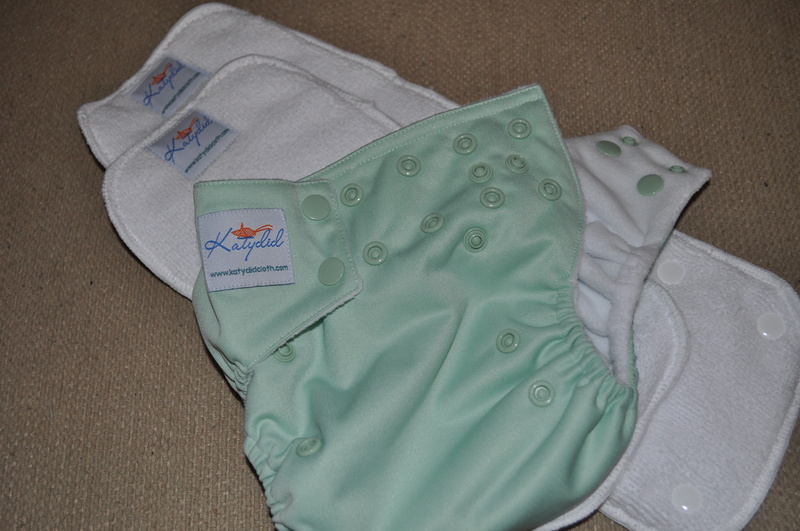 So you’ve heard me talk so much about the cloth diapers and even seen a few pictures. 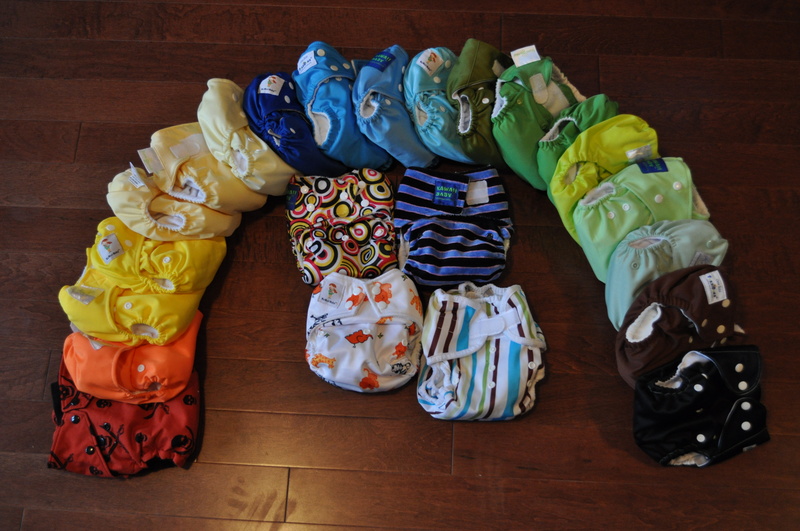 Well now we have all of our diapers [so far… don’t tell J that I want to order more! ], I thought I’d share a picture of all of them. 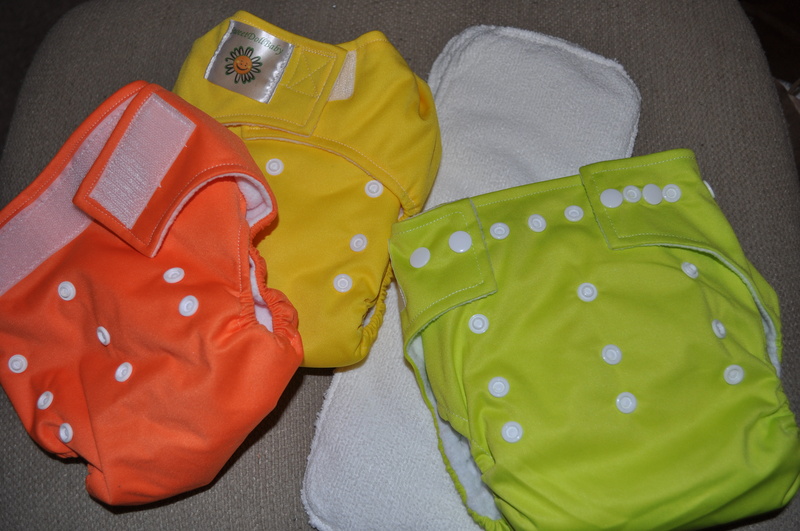 We now have 4 more cloth diapers to add to our collection. They are all OS [one size] pocket dipes. One Katydid and three Sweetdollbaby. The Katydid is a sage green with snaps. Here’s a pic of it with the inserts out. And then the Sweetdollbaby. Now these aren’t as quality as the Katydid or the BG that we have. But apparently they’re still decent dipes and for $6 each, I couldn’t say no. Plus, the colors are pretty friggin’ awesome! 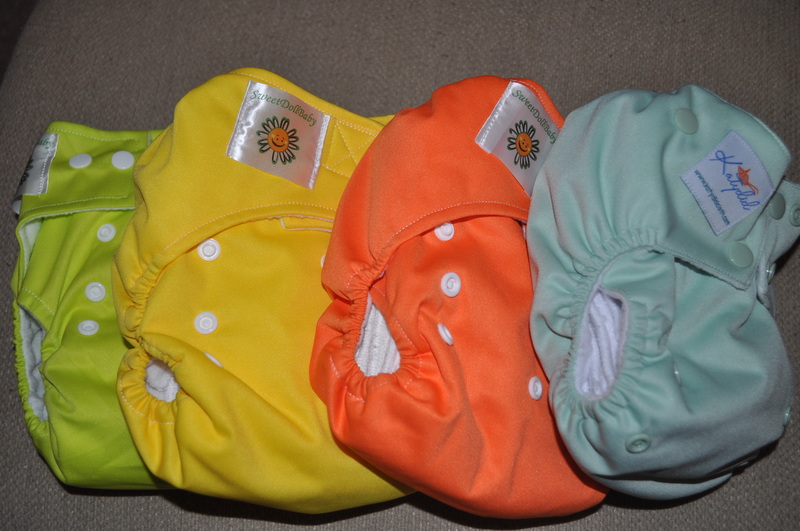 The orange and yellow are velcro and the apple green is snaps. 30 more days until we close on the house and then once we’re settled, we’ll start using these babies! Until then, I just get to stare at them and count down the days!